Remember when 8-bit gaming technology was cutting edge? 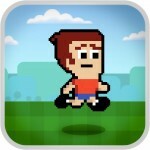 Mikey Shorts brings you back to that pixel paradise with this fun and easy app. 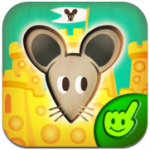 Price: FREE Age: 4+ The game is easy to play but players require reading skills to fully understand the story line. Grab your backpack and your map because Dora and Boots are starting their early reading journey, and you’re invited to join! 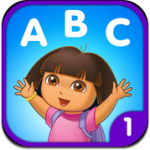 Price: $3.99 Age: 3+ Perfect for the younger players who are just learning the alphabet. Early learning skills meet playtime in this educator-approved game that helps teach toddlers and preschoolers basic skills. Price: $1.99 Age: 2-5 Perfect for toddlers and preschoolers. 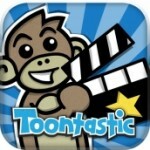 “Telling stories” takes on a whole new meaning with this creatively clever cartoon app! Price: FREE Age: 4-10 Younger players will have fun with this app and older players will be able to comprehend the evolution of a storyline. Whoa, Nana! 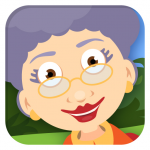 No need to go over the river and through the woods to enjoy this educational app for the youngest of the iPad users in your family. Price: $0.99 Age: 1-5 The younger crowd will be able to easily play, but grandkids of all ages will enjoy.